PNB scam: Why do we not talk about the whopping bank loan defaults? 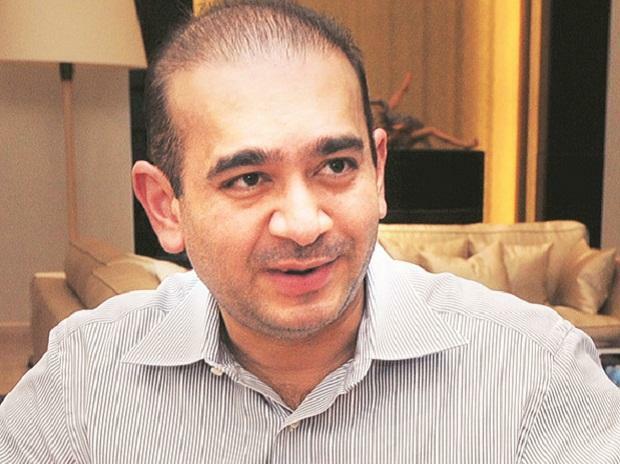 Interpol has issued a Red Corner Notice (RCN) against Mihir R Bhansali, a close confidante and senior executive of absconding billionaire jeweller Nirav Modi, in connection with the alleged USD 2 billion PNB money-laundering case, officials said Thursday. The notice, which acts as an international arrest warrant, states Bhansali (40) is required by Indian probe agencies on charges of "money laundering". The RCN against Mihir Rashmi Bhansali, CEO of Nirav Modi's jewellery firm in the US, Firestar International, was requested by the Enforcement Directorate, they said. The ED wants him to join the investigation in order to take the probe in the case forward, they added. It had told the global police body that Bhansali was "likely" to visit the US, the UK, Hong Kong, China or the UAE. In its RCN issued against a fugitive, the Interpol asks its 192 member countries to arrest or detain the person if spotted in their countries after which extradition or deportation proceedings can begin. The ED has identified Bhansali as the "second-in-command" in the Firestar Group after Nirav Modi, and that "he was actively involved in the diversion and laundering of the funds received from the alleged fraudulently issued PNB LOUs (Letters of Undertaking). "Bhansali was instrumental in rotation and diversion of the proceeds of crime generated in this case," an official privy to the probe said. ED's investigation found that with the help of other officials of the Firestar Group, Bhansali "inducted dummy partners in Solar Exports, Stellar Diamond and Diamond R US (Modi's firms in whose names LOUs were issued)." "He was instrumental in formation of overseas dummy companies in Hong Kong and Dubai, and employees/ex-employees of the Firestar Group were sent as dummy directors/owners in these entities at his directions," the agency charged Bhansali. The ED, as part of its probe under the Prevention of Money Laundering Act (PMLA), found that a "secure internal email communication system was developed at Bhansali's insistence and its server was deliberately kept in Dubai." "Fund transfer, rotation of goods, melting of metal, dismantling of jewellery and low quality jewellery production with high-value declaration were done on his instructions," the agency charged. The ED alleged that after the PNB fraud came to light, Bhansali "along with Nehal Modi (Nirav Modi's brother), took 50 kg gold and substantial cash from Dubai, and directed dummy directors not to reveal his name before the authorities." It is alleged that the businessman is also a director in few of the dummy companies which are "controlled" by Nirav Modi and are based in the British Virgin Islands. Bhansali is also said to have purchased a USD 7 million worth property in the US "from the funds believed to be generated from the alleged PNB scam". Sometime back, a similar Interpol notice was issued against Nirav Modi even as India is seeking his extradition from the UK.